​Both living and non-living things are composed of molecules made from chemical elements such as Carbon, Hydrogen, Oxygen, and Nitrogen. The organization of these molecules into cells is one feature that distinguishes living things from all other matter. The cell is the smallest unit of matter that can carry on all the processes of life. 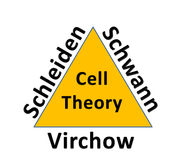 In the Introduction to Cells unit students learn about the evidence for cell theory, unicellular organisms, microscopy, cell size, and stem cells. ​There are ethical issues involved in stem cell research, whether humans or other animals are used. Use of embryonic stem cells involves the death of early-stage embryos, but if therapeutic cloning is successfully developed the suffering of patients with a wide variety of conditions could be reduced. Explain why “trends and discrepancies” are useful in scientific study. List features of cells that would be considered a “trend”. Explain why biological research must take ethical issues into consideration. 1.1.U.1 According to the cell theory, living organisms are composed of cells. (Oxford Biology Course Companion page 2). State the three parts of the cell theory. Outline evidence that supports the cell theory. Compare the use of the word theory in daily language and scientific language. All organisms contain one or more cells which are capable of carrying on the life activities needed by the organism. This idea is often referred to as the cell theory. The cell theory is a scientific theory which describes the properties of cells. These cells are the basic unit of structure in all organisms and also the basic unit of reproduction. Cells come from preexisting cells and cannot be created from nonliving material. For example, new cells arise from cell division and a zygote (the very first cell formed when an organism is produced) arises from the fusion of an egg cell and a sperm cell. ​All living things are composed of one or more cells, each capable of carrying out the life functions. 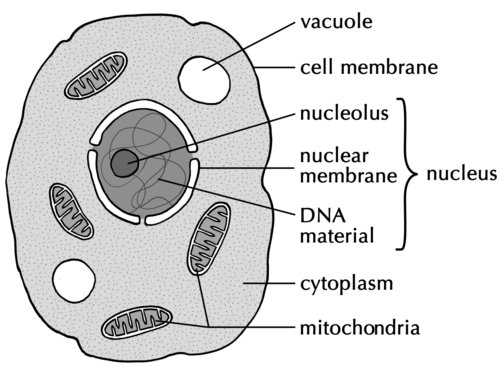 The organelles present in single-celled organisms often act in the same manner as the tissues and systems found in many celled organisms. Single-celled organisms perform all of the life processes needed to maintain homeostasis, by using specialized cell organelles. 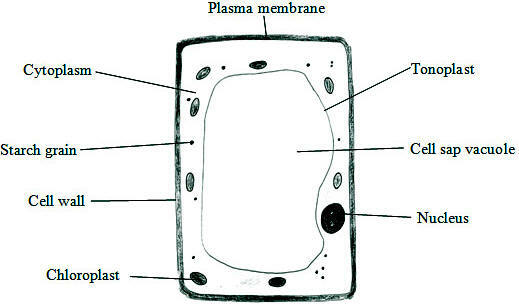 Outline the activities occurring in the volume and at the surface of the cell. Calculate the surface area, volume and SA:V ratio of a cube. Explain the benefits and limitations of using cubes to model the surface area and volume of a cell. Describe the relationship between cell size and the SA:V ratio of the cell. Explain why cells are often limited in size by the SA:V ratio. List three adaptations of cells that maximize the SA: volume ratio. Gases and food molecules dissolved in water must be absorbed and waste products must be eliminated. For most cells, this passage of all materials in and out of the cell. The rate of material exchange is a function of its surface area (large membrane surface equates to more material movement). The greater the SA/volume ratio is, the faster the cell can remove waste and heat, and absorb oxygen and nutrients essential for the cell to function properly. As a cell grows bigger, its internal volume enlarges and the cell membrane expands. Unfortunately, the volume increases more rapidly than does the surface area, and so the relative amount of surface area available to pass materials to a unit volume of the cell steadily decreases. the surface area to the volume ratio gets smaller as the cell gets larger. ​If the cell grows beyond a certain limit, not enough material will be able to cross the membrane fast enough to accommodate the increased cellular volume. When this happens, the cell must divide into smaller cells with favorable surface area/volume ratios, or cease to function. Define and provide an example of unicellular and multicellular organism. Define and give examples of emergent properties. Living things have different levels of organization. Smaller parts combine to make increasingly complex systems. An emergent property is a characteristic an entity gains when it becomes part of a bigger system. Emergent properties help living organisms better adapt to their environments and increase their chances of survival. Emergence in science and system theories is defined as how complex systems and patterns arise out of a multiplicity of relatively simple interactions. Basically, complex life systems involve millions of small simple interactions that work together to allow the complex system to function properly. 1.1.U.5 Specialized tissues can develop by cell differentiation in multicellular organisms. (Oxford Biology Course Companion page 11). Outline the benefits of cell specialization in a multicellular organism. Every cell in a multicellular organism contains all genes of that organism. However, not all of those genes are activated in every cell or at the same time. When the gene is activated, the gene will encode for specific proteins. These proteins will affect the structure and function of cells. ​By activating certain genes and not others, the cells are able to differentiate and form specialized tissues. 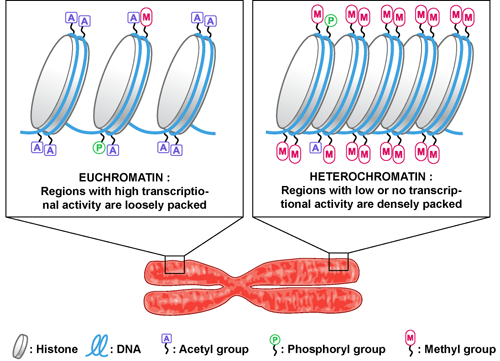 ​Differentiation depends on gene expression which is regulated mostly during transcription. It is an advantage for multicellular organisms as cells can differentiate to be more efficient unlike unicellular organisms who have to carry out all of the functions within one cell. In development after the zygote divides to form the blastocyst ( around 120-130 cells), and then the gastrula, which is differentiated into several dermal layers of cells (mesoderm, endoderm, ectoderm, and germ cells) that form into specific specialized cells. Describe the relationship between cell differentiation and gene expression. Differentiation is the process during development whereby newly formed cells become more specialised and distinct from one another as they mature. All cells of an organism share an identical genome – each cell contains the entire set of genetic instructions for that organism. The activation of genes within a given cell by chemical signals will cause it to differentiate. List 2 key properties of stem cells that have made them on the active areas of research in biology and medicine today. 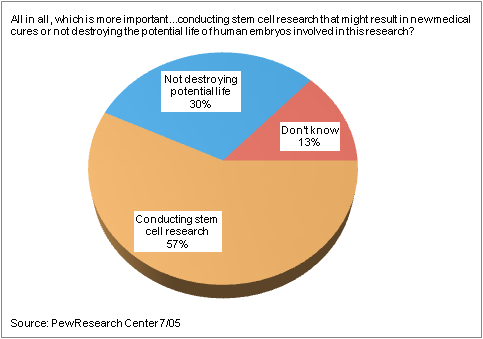 Explain why stem cells are most prevalent in the early embryonic development of a multicellular organism. Contrast the characteristics of embryonic, umbilical cord and adult somatic stem cells. Define totipotent, multipotent and pluripotent. ​Stem cells are cells that are not fully differentiated but have the ability to divide and differentiate into different types of cells (e.g. one stem cell can differentiate into a blood cell, a liver cell or a kidney cell). Stem cells are necessary in embryonic development as all the cells in the adult organism stem from the embryonic stem cells. ​1.1.A.1 Questioning the cell theory using atypical examples, including striated muscle, giant algae and aseptate fungal hyphae. Describe features of striated muscle fibers that make them an atypical example cell. Describe features of giant algae that make them an atypical example cell. Describe characteristics of Paramecium that enable it to perform the functions of life. Describe characteristics of Chlamydomonas that enable it to perform the functions of life. Outline the cause and symptoms of Stargardt’s disease. Explain how stem cells are used in the treatment of Stargardt’s disease. Outline the cause and symptoms of leukemia. Explain how stem cells are used in the treatment of leukemia. The disease is treated by replacing dead cells in the retina with functioning ones derived from stem cells. A degenerative disorder of the central nervous system caused by the death of dopamine-secreting cells in the mid-brain. Dopamine is a neurotransmitter responsible for transmitting signals involved in the production of smooth, purposeful movements. Individuals with Parkinson’s disease typically exhibit tremors, rigidity, slowness of movement and postural instability. Treatment is by replacing dead nerve cells with living, dopamine-producing ones. List the source and mechanism of obtaining stem cells. Discuss the benefits and drawbacks in using embryonic, cord blood and adult stem cells. 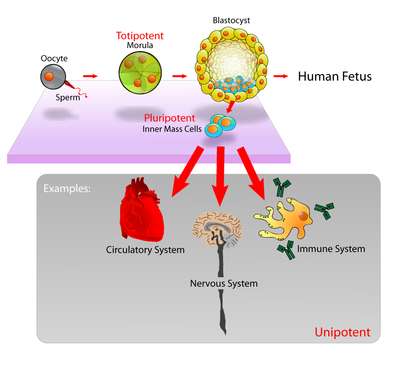 Embryonic stem cells – fertilize egg with sperm, fusion forms a zygote, the cell will now divide by mitosis till it is about 12-16 cells. These are all embryonic stem cells. They can differentiate into any cell type but have a higher risk of becoming tumor cells. There is also less chance that the cells have genetic damage as they are very new and don’t have time to accumulate mutations like adult stem cells. Umbilical Cord Stem Cells – stem cells obtained from the cord, can be frozen and used later on in life. These are easily obtained and stored after birth. Adult Stem Cells – obtained from some adult tissue such as bone marrow. They are difficult to obtain and have less growth potential and limited capacity to differentiate when compared to embryonic stem cells; however, they are fully compatible with adult’s tissue (no rejection) and there is less chance for a malignant tumor to occur. 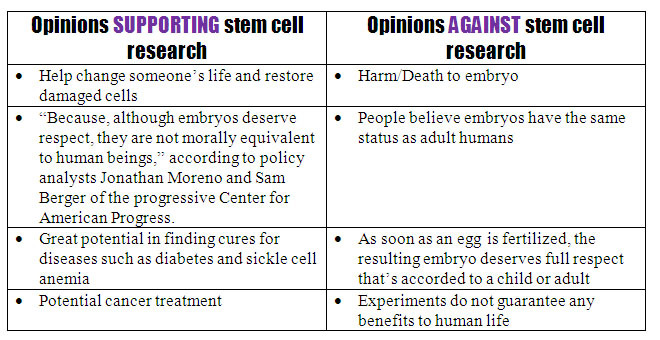 The ethical considerations associated with the therapeutic use of stem cells will depend on the source. Using multipotent adult tissue may be effective for certain conditions, but is limited in its scope of application. Stem cells derived from umbilical cord blood need to be stored and preserved at cost, raising issues of availability and access. The greatest yield of pluripotent stem cells comes from embryos, but requires the destruction of a potential living organism. Stem cells can be artificially generated via nuclear transfer or nuclear reprogramming, with distinct benefits and disadvantages. Label the names of parts of the microscope. Given the magnification of the ocular and objective lenses, calculate the total microscope magnification. Measure the field of view diameter of a microscope under low power. Calculate the field of view diameter of a microscope under medium or high power. Estimate the size of a sample in the microscope field of view. Demonstrate how to focus the microscope on a sample. 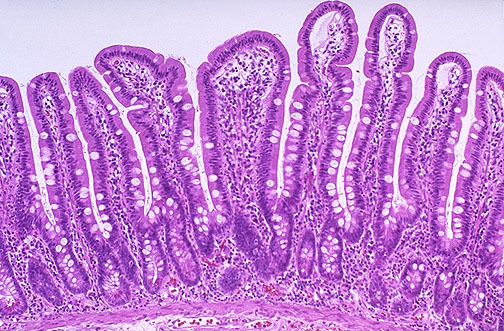 Demonstrate how to make a temporary “wet mount” on a microscope slide. State why the magnification of a drawing or micrograph is not the same as the magnification of the microscope. Use a formula to calculate the magnification of a micrograph or drawing. ​Cells and their components are measured according to the metric system. 6. Click on the Stem Cells: Early Research link and launch the video. Get the awesome free Virtual Electron Microscope, or send off some samples to be scanned for now, from here or here. A newly developed Mesolens combines the best of both worlds (light and electron microscopes), with the ability to view thousands of living cells and their contents at the same time. Get your head around this one: “Breast cells naturally transform into stem cells,” by Ed Yong. Is this a paradigm shift in progress? Another form Ed Yong – “The genetic sergeants that keep stem cells stemmy” Read it again when you think about the central dogma of genetics. ​Stem cell research has depended on the work of teams of scientists in many countries who share results thereby speeding up the rate of progress. However, national governments are influenced by local, cultural and religious traditions that impact on the work of scientists and the use of stem cells in therapy. Mary Poffenroth, an adjunct professor of biology, teaches you different topics of biology. In this video she explains the modern cell theory. Hank and physiologist Jon Harrison discuss the question of insect size and major theories that attempt to explain why there is a limit to how large insects can get with current conditions on Earth. ​In this podcast Paul Andersen explains how cells differentiate to become tissue specific. He also explains the role of transcription factors in gene regulation. The location of a cell within the blastula ultimately determines its fate. The SrY gene is an important external stimuli in human development. The heat shock factor is also discussed as an example of an environmental simuli. Mahalo biology expert Mary Poffenroth discusses the latest trends in Stem Cell Research. ​Hank gives you the facts on stem cells - what they are, what they're good for, where they come from, and how they're used in medicine. Stem cells have produced another scientific "miracle"-- This time allowing a blind man to see with nearly perfect vision. Laci shows us the amazing procedure that has forever changed one man's life. ​There is considerable excitement about the use of stem cells for cardiovascular disease. Stem cells are unspecialized cells with the unique property to self-renew or make copies of themselves and to differentiate into specialized cells. The goal of stem cell therapy is to enhance the body's natural process of regeneration.